In the quiet town of Christie's Leigh, right next to the historic local church, sits Belladonna Manor. Having sat empty for years, Belladonna Manor is a mystery to the residents of Christie's Leigh. 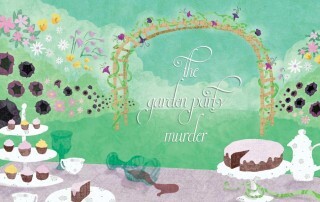 Prickly, high garden walls keep prying eyes from learning its secrets - and Belladonna Manor has plenty of secrets! 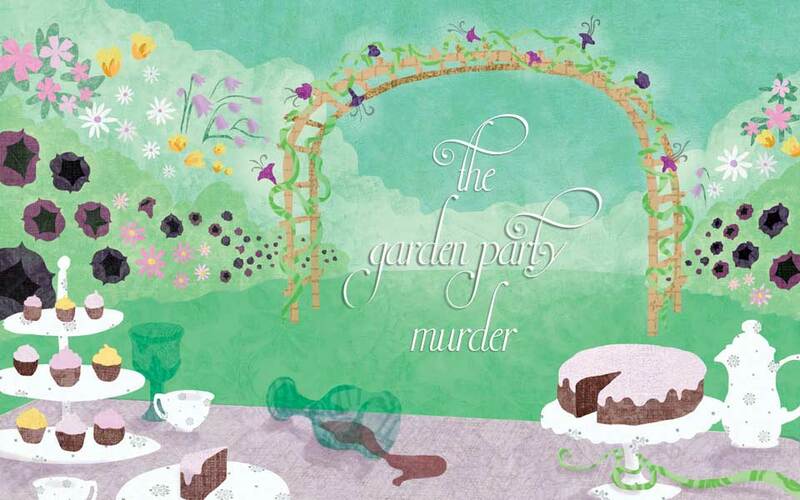 Suddenly, select residents of the town of Christie's Leigh and those beyond receive invitations to a garden party at Belladonna Manor. No one knows why they have been invited, but the chance to step within the walls of the garden at Belladonna Manor is too enticing to resist. But when the local vicar, Vicar Demming, falls down dead during the garden party, the guests are faced with a wicked "murder game", through which they must discover the identity of their mysterious host, and the reasons why this host felt the vicar needed to die. Which of the guests is the killer? How did Vicar Demming die? Will the guests escape with their own terrible secrets kept hidden? 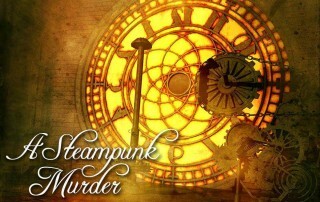 The year is 1857 and steam power rules, from the upper echelons of society to the gutters of London's Old Town. Here in the countryside sits Harrison House, a humble estate with a staff of just 20 servants. Harrison House is home to widow Lady Steeles, her daughter Evangeline, servants and, from time to time, friends and passers-by. Tonight was to be a festive celebration in honour of both of Lady Evangeline Steeles' 21st birthday and also her engagement to Mr. Bartholemew Payne. A mysterious and priceless gift is delivered to Lady Evangeline – one that carries a dark and powerful secret. But when Mr. Payne is found dead at the bottom of a cliff, the celebration quickly turns into a murder investigation! Who pushed him? Where is the legendary Moonstone? With a cast of characters and lore only found in the Steampunk universe, this mystery is sure to end up hotly debated by suspects and guests alike. Deep in the forest and miles from civilization, a castle sits high atop a mountain. This is home to a clan of vampires, the leader of which is about to be found staked in his coffin! 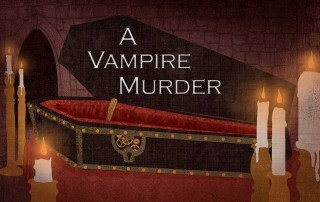 Not everyone is who they seem in this classic vampire murder mystery party!